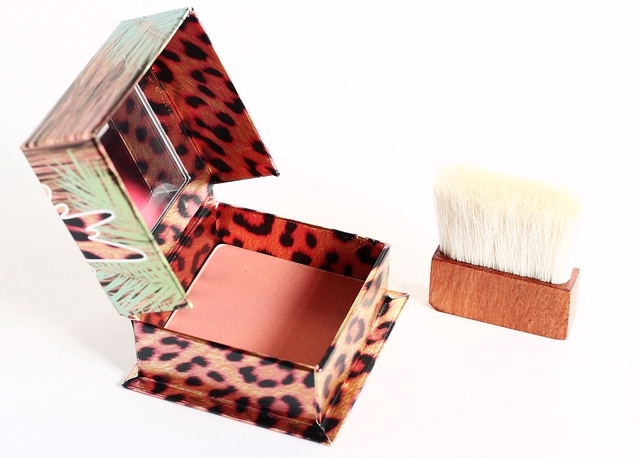 Benefit's boxed powders are among my most favorite from their beauty lineup. Hoola and Dallas are always in constant rotation in my routine. They are both great shades for adding a bit of warmth to the cheeks. I thought it was time to add a new boxed powder to my collection, so I decided to go with CORALista ($28), a gorgeous coral/pink. One of the things I enjoy about Benefit's products are their fun packaging. It most definitely stands out-in a good way. 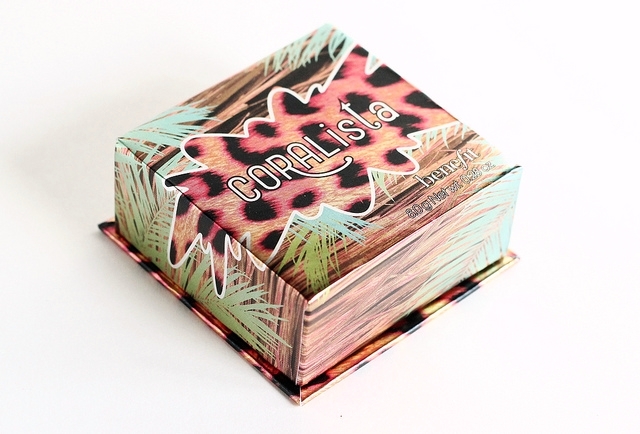 CORALista comes housed in a square shaped box with a flip open lid and a magnetic closure. 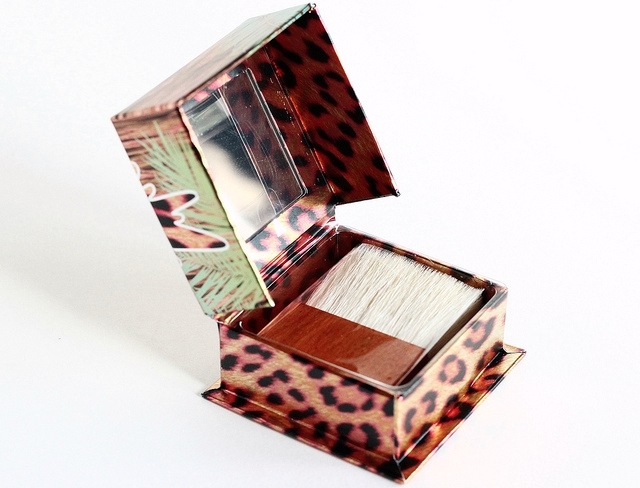 The box contains a nice quality mirror, as well as a natural bristle brush for on the go touch ups. The brush is pretty soft and it does the job, but I prefer applying this with my usual blush brush. I must say, CORALista is just as great as I thought it would be. The texture of the powder is amazingly soft, and it blends effortlessly onto the skin without enhancing imperfections. The color is easily buildable, and the fine shimmers throughout the powder don't look overbearing on the skin in the slightest. They add a very pretty radiance, instead. 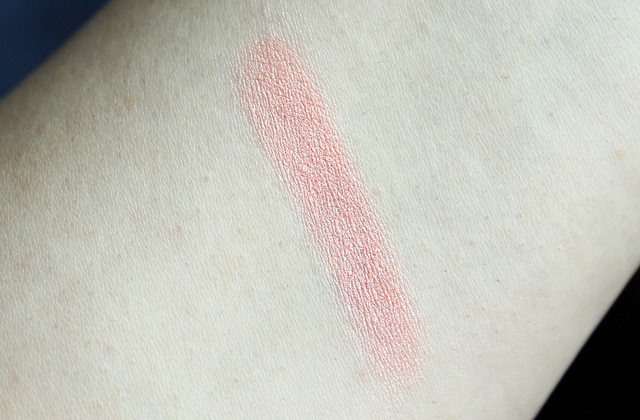 If you are one who tends to shy away from color, I think this powder would be a good one to look into since the coral/pink hue looks delicately natural on. This powder is fragranced, and although it's a little strong, it doesn't really bother me much. Besides, it doesn't linger once the powder is applied to the cheeks. As for wear time, I notice a tiny bit of fading going on at the 7 hour mark. Not bad. I do have oily skin though, so those with normal-dry skin may fare better with longevity than I did. Overall: I am so happy that I have finally added this cult beauty favorite to my collection. Believe me, I have been using CORALista loads ever since first obtaining it. It's that amazing. I think the Benefit boxed powder I am gonna pick up next is their latest release, Rockateur. I have been reading a lot of rave reviews on it lately, and it looks like it would make a fabulous fall/winter cheek color! What do you think of Benefit's CORALista cheek powder? I think this blush would look lovely on many skin tones as well :) Are there any other of Benefit's boxed powders that you are a fan of?